I was talking to good friend of mine last week who told me his “Pretty Woman” story (the scene where she gets laughed out of the store). My mate walked into a boot store that sells only Red Wing boots. 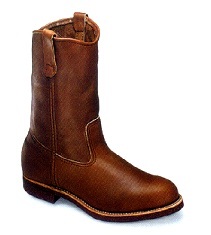 Red Wing boots are very famous top quality boots that sell for about $300-400 Australian ($280-380 US). Anyhow, he walked into the store dressed how he often is – in overalls or working man’s gear. The thing about my mate is that he’s a pretty knockabout sort of guy. Not a scholar by any means. Looks a bit rough even. But he’s a lovely fellow who enjoys working at manual jobs. And he’s worth about $5 million. We all do make assumptions based on first impressions. We shouldn’t but we do.